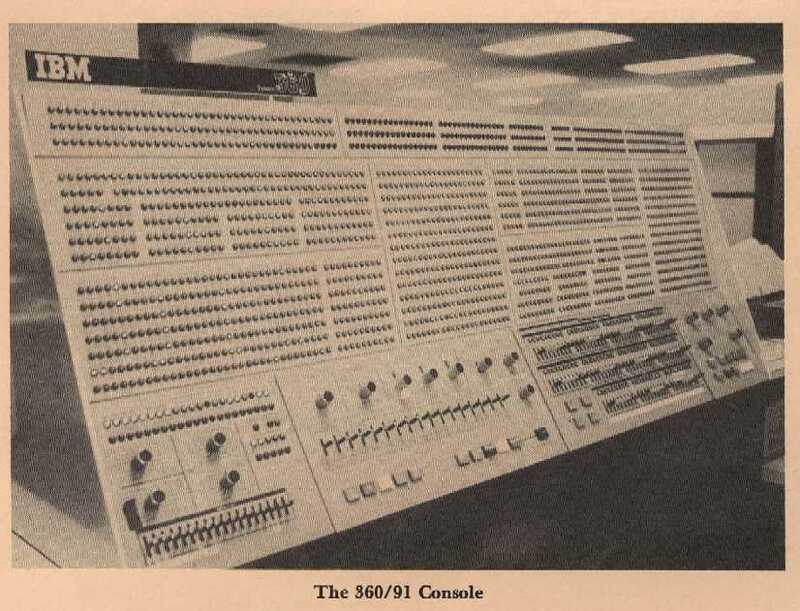 The front panel of the IBM 360 Model 91 in the Columbia Computer Center machine room, shortly before it was retired in 1980. Today it (the front panel, not the rest) sits in the Computer Museum History Center, Mountain View, California (search for "360/91"). This photo does not convey the size of the entire machine, but you can get an idea from the ceiling lights, which go off towards the vanishing point. 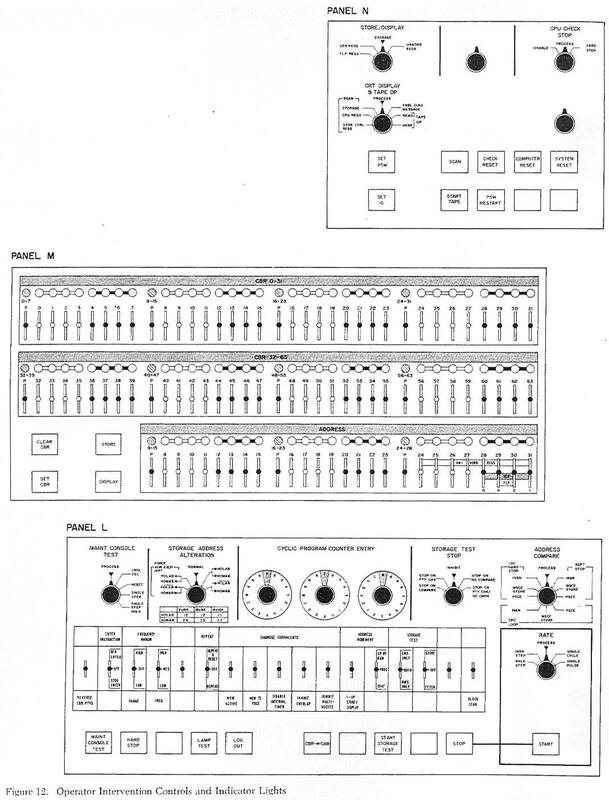 CLICK HERE for an explanation of the buttons, knobs, dials, and switches. Photo: Bob Resnikoff (cover of CUCCA Newsletter V12#17, 17 December 1980).